Willingness alone is not going to help you innovate. You would also need a tried and tested method to gear up the game. “What method?” – You ask? 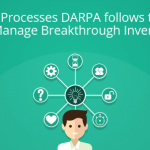 Innovation through Inter-industry Innovation. This method is promising, and offers the opportunity to scale up red-ocean and to create blue-ocean. For reference, red-ocean represents the existing products where competition is high, and blue-ocean represents new markets that can be created. Many companies are already taking advantage of this method by adopting technology from a different industry, and with a bit of skill, transforming it such that it solves the problem of their own industry. Additionally, this strategy is also being used to increase horizons. For instance, companies coming up with an innovation try to increase their business by exploring new markets around an innovation instead of limiting it to the obvious use. Thus improving red-ocean market in one case and generating a blue-ocean market in the other. I remember a case we handled almost three years ago where we were consulting a company in the domain of building and construction materials in their technology scouting initiative. They aimed at upgrading their products/services and focused their research activity on adding new features. The decanoic acid, lauric acid to be added to the mixer at a temperature of 50-55 ° C, mix for 5-8 minutes, followed by addition of paraffin wax, mixing is then continued at a temperature of 50-55 ° C for 2 to 3 minutes to prepare a ternary complex phase change material; wherein the paraffin wax, capric acid, lauric acid weight in the ratio of: 10 -30: 45-35: 45-35; II: EPDM ternary complex and mixing the phase change material: EPDM was added to the mixer, the mixer temperature is maintained at 75-85 ° C, and then added to the ternary complex step of preparing a phase change material, sensitizer trimethylol propane trimethacrylate and scaly graphite is added to the mixer for mixing, mixing time 8 -10 minutes…. Such a level of detail helps the company to easily move ahead in their research activity to upgrade their products and decide at a strategic level if they should research in-house or collaborate with the companies that have already researched such materials. 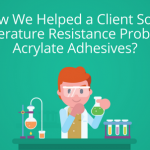 The next step was obvious – exploring the use of polymer-based composite material for building phase change wall interlayers, thus resulting in an environment-friendly energy-saving solution in the construction industry. Not only this, the material can also be easily adapted to manufacture phase change wallpapers or clothing to give rise to a new type of product line that can prove to be a golden opportunity. Companies in textile/interior industry can lead the race of venturing the gate of opportunity by tracking such innovations from nearby industries at the right time and launching improved products to capture a larger pie in their red ocean. On the other hand companies that are developing such a material or the construction companies making use of such a material also has an opportunity to launch less obvious products like wallpapers, flooring solutions etc. to target energy saving solutions and thus generating blue oceans for them. But many fail to do so. Sad reality! Fret not, there is a solution. To support innovation activity within the company and help them in their technology development/scouting initiatives, we developed a tool, NorthStar. NorthStar equips the research team with the knowledge from nearby industries that can support their research initiatives, provides clues for adopting the innovations to upgrade their products/services and in decision making towards organic or inorganic research directions. 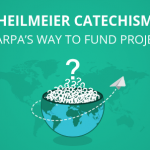 To find out more, send us a quick email. 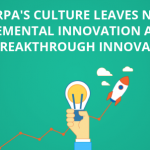 How DARPA’s Culture Leaves No Room for Incremental Innovation and a lot for Breakthrough Innovation? 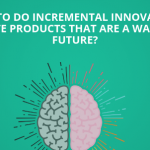 How to do Incremental Innovation create products that are a Wave of future?